(VOVWORLD) - VOV’s Youth Union has organized many charitable activities this month in response to this year’s Youth Month under the theme “Youth volunteers for community development”. 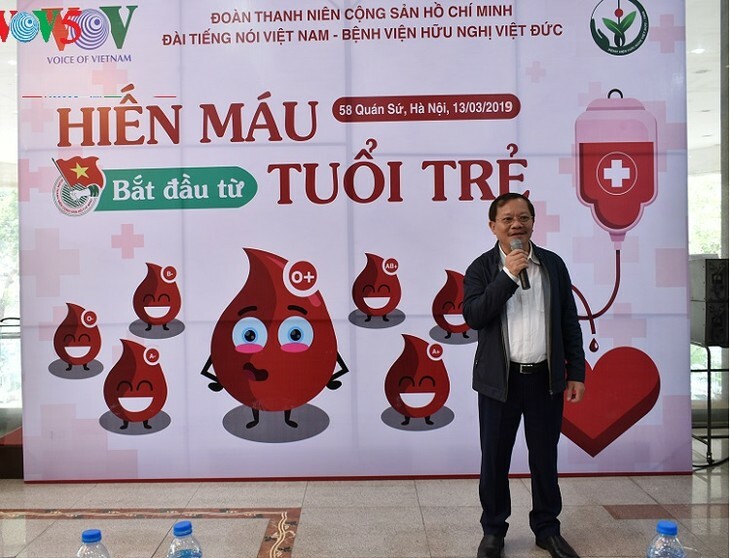 More than 12,000 members of the Voice of Vietnam’s Youth Union are taking part in activities to mark Youth Month 2019 in March. Hundreds of gift sets and warm clothes were brought to children in Vietnam’s northwestern mountains by VOV’s online newspaper while VOV bureaus in HCMC, Central Vietnam, the Central Highlands, and the Mekong Delta organized activities to pay tribute to heroic Vietnamese mothers and families of war invalids and martyrs. VOV reporters and editors have visited poor children in disadvantaged areas. 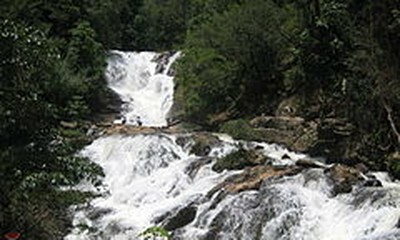 "Such trips take us to new places and give us an insight into the local life, the local people’s daily activities, and their traditions and customs. Those are valuable experiences that have opened our eyes to a wider world," said Le Phuong Thao, a reporter for VOV’s Culture, Science and Education channel (VOV2). 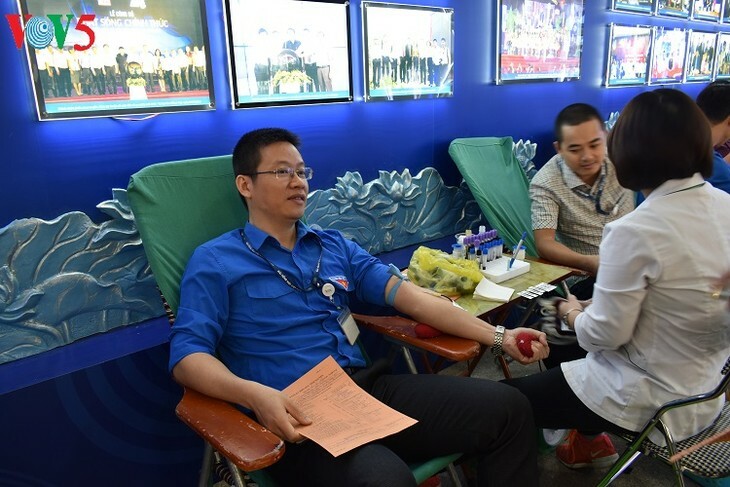 VOV Blood Donation Campaign: "Give blood, save lives"
Over the past decade, hundreds of VOV Youth Union members have enthusiastically responded to blood donation campaigns launched annually at VOV headquarters in Hanoi. Pham Duy Hung, Deputy Secretary of the VOV Party Committee, said: "VOV has more than 1,200 Youth Union members, who always complete their assigned tasks while taking the lead in community services. VOV leaders have always encouraged our members to contribute to social welfare and community development." Deputy Secretary of the VOV Party Committee Pham Duy Hung. "The two unions discussed ways to make our projects more effective in supporting as many disadvantaged children as possible. This year, we’ll carry out a new project targeting disadvantaged children in mountain areas. We might provide them with more school supplies or build them a new school or library. 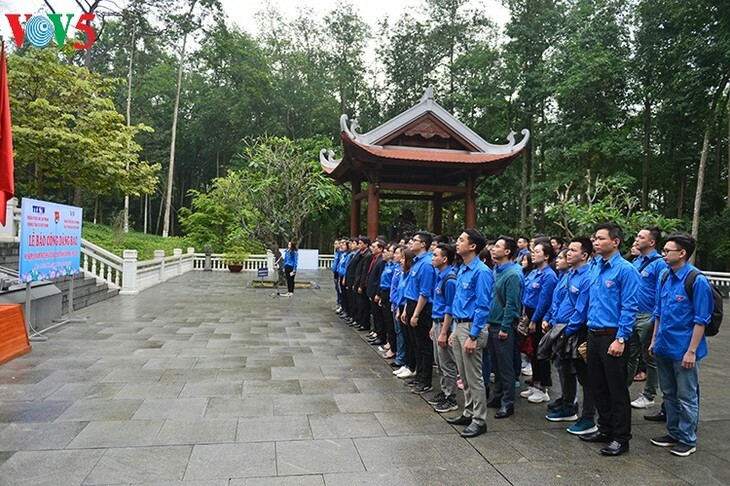 It depends on how much money we can mobilize," said Le Minh Duc, the VNA Youth Union Secretary. This month, VOV1 - the News and Current Affairs Channel began construction of Yen Khuong kindergarten in Thanh Hoa province’s Lang Chanh district, with a total capitalization of more than 400,000 USD. Another school will be built at a cost of 250,000 USD in Tuyen Quang province.